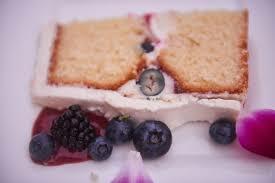 Let’s talk wedding desserts- so many ideas so little time! Just do a google or Pinterest search and you can get the ideas flowing. Everyone likes ice-cream so having ice-cream or gelato at your event brings is a fun novelty and simple way to add dessert to your wedding. 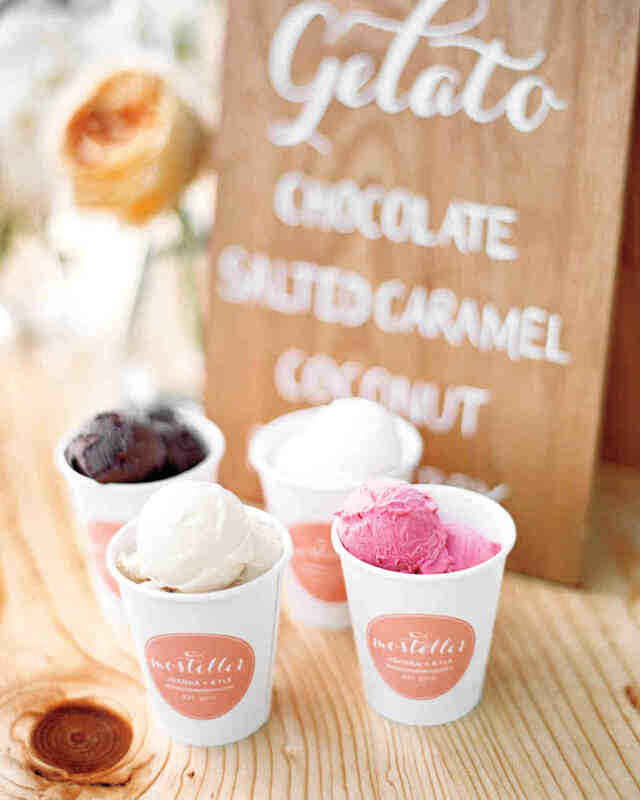 Having a gelato cart or bike roll in set up and serve fresh gelato in cups and cones to your guests. 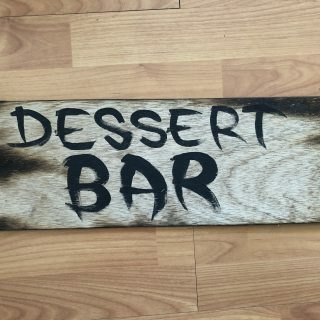 This can be done at dessert time, pre-drinks or even just post-ceremony to cool guests down and switching the dessert element to earlier on rather than the tail end of your evening. The Gelato Bike or trike is a modern alternative to the more traditional Mr Whippy. This is my kind of wedding domain the dessert buffet or dessert grazing station. 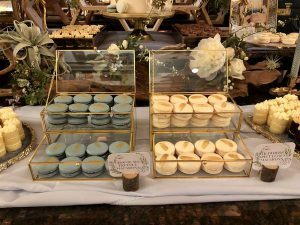 We have seen various varieties from DIY style where aunty, mum, cousin all make something to add to the table from pies, cakes, slices, fruit platters, macarons, doughnuts and more through to catering companies providing a yummy mix of delicious desserts for your guests to enjoy. 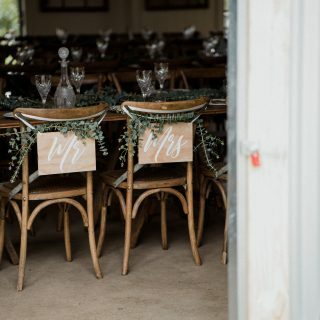 The key to the dessert buffet is investing in beautiful props and styling, from flowers, candles and various platters or stands to create height and dimension variations, adding greenery in between, cute signs to say what each thing also works a treat. Be sure to list anything with nuts, or gluten or dairy free options so your guests can know what is in the goodies is also a great idea. 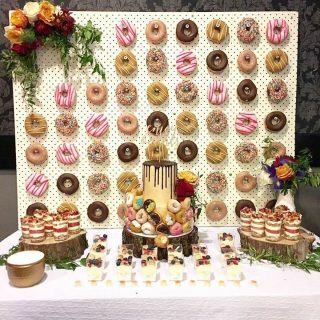 We have done several donut walls and towers at recent weddings and they are always loved by guests! Any leftovers guests can take home for a midnight snack! 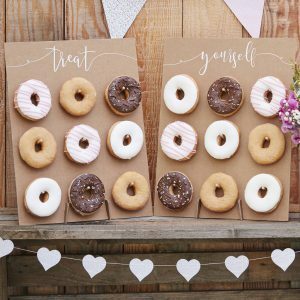 We have just bought a donut wall that you can hire out but there are also DIY tutorials online or depending on location you can hire from a variety of companies, you can Pinterest how they look but basically, there are rods to place a donut on each rod and guests can help themselves. We have also seen this done as a donut stack or tower which almost looks like a cake and you can decorate with flowers and greenery. Depending on your budget, you can get cheap ones from woollies or Coles or you can purchase speciality pimped out ones from many companies that hand make them. If you don’t have a sweet tooth, then the cheesecake may be for you. 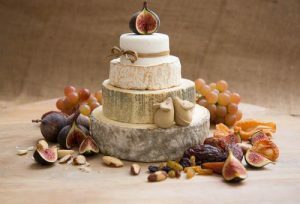 Basically, its layering wheels of a variety of different cheeses and often decorating this with things like fruits, nuts, greenery, rosemary and fresh honeycomb for a beautiful but practical textured cake. This is then cut up by your caterer or coordinator and served with fruits, crackers and nuts as a savoury dessert after the meal. 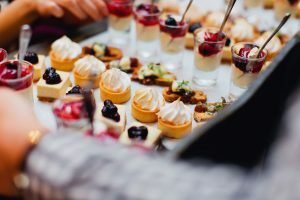 Some of the catering companies we work with do amazing dessert canapes, it’s an alternative to the traditional sit-down plated dessert and often perfect if your guests are up mingling and moving around after the more formal sit-down meal. Some options for dessert canapes will be mini tarts, or mini ice-creams, cheesecakes or mousse in little containers, macarons. Often when it’s time to serve the cake, we find everyone is up dancing and not seated at their regular seat so a good idea is to have your catering company tray service a portion of the cakes around the room on napkins, then place them on a centralised dessert or tea and coffee station for people to self -serve when they need a sugar hit from dancing later in the evening. Go wild! People often think that people won’t eat dessert at weddings, but they totally do and if not, another fantastic idea is providing take-home containers so people can take some home with them to eat the next day! Listen to our podcast on this topic HERE! 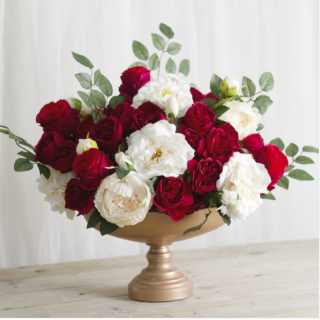 The blog is written by Wedding Planner Vanessa from The Wedding and Event Creators. Choosing a Wedding DJ that will have your DFloor Rockin!